TIGER STRIPES AND LeMONS INSANITY – A COMBINATION FOR FUN! The LeMon’s Southern Discomfort race was held March 3-4 at Carolina Motorsports Park in Kershaw, SC. 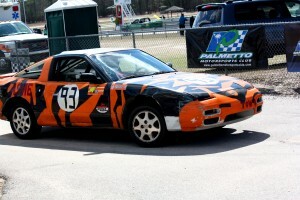 Tyler Zellmer and a group of Clemson University students competed admirably in the TIGER STRIPE ASME 240SX. This is their story! 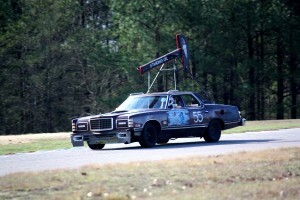 Have you ever looked at a piece of trash car and thought, “How much fun would that be to race against a bunch of other crap cars?” I have, and that is the idea behind the 24 Hours of LeMons series, an endurance race in which each team is allowed to spend only $500 in the purchase and preparation of their car (excluding safety features). 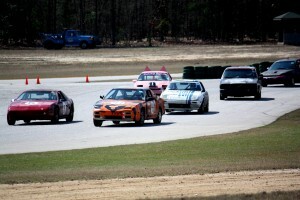 The series, which began in California back in 2008, has expanded nationwide, and attracts a wide array of racers, from redneck mechanics to professional racing drivers; and now, for the second year running, a band of inexperienced college students. 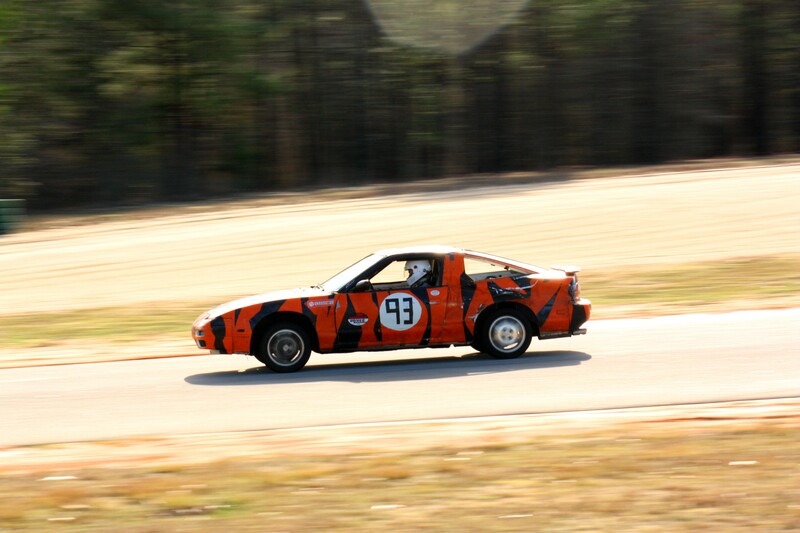 The Clemson University student chapter of the American Society of Mechanical Engineers (ASME) built and raced a car in this series for the 2010 season. 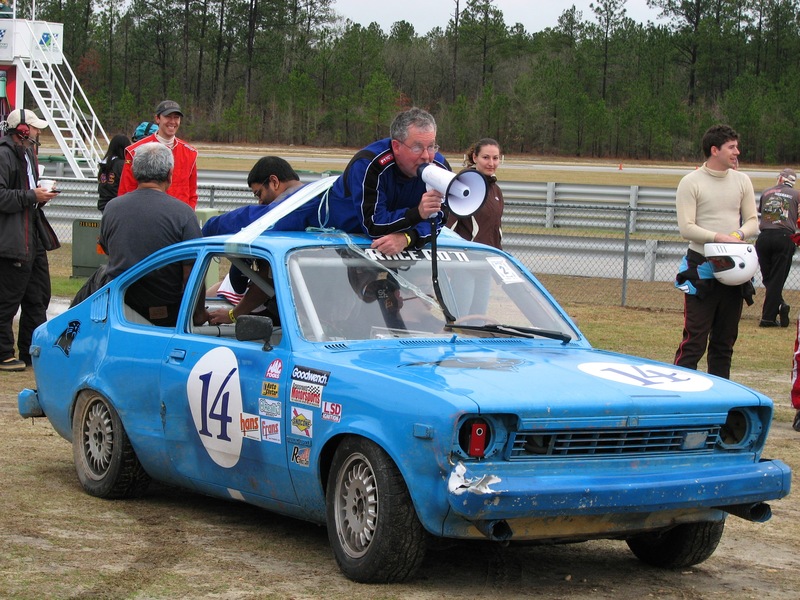 While getting the car to the race was in itself a major accomplishment, the car’s performance at the race was a bit underwhelming. 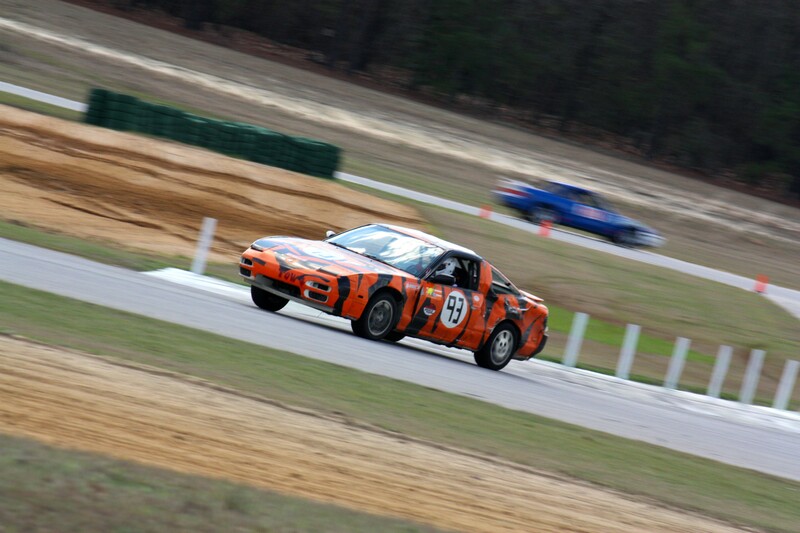 An array of small but critical problems kept the car off the track for the majority of the weekend – a sheared lug bolt, air in the brake lines, an overzealous kill switch, etc. – consequently, with a total of 5 hours of track time, the team loaded up and headed back to Clemson. We were determined to have a better showing for our second race. Though only one member remained, this experience allowed the team to prepare much more thoroughly. 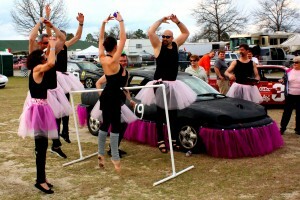 Even so, the week leading up to the race became a flurry of last-minute activities. Installing the new kill switch, covering the sun roof with aluminum sheet, and touching up some welds on the cage were just a few of the things that needed doing before the car was race-ready. Fortunately, everything was completed in time for Friday. 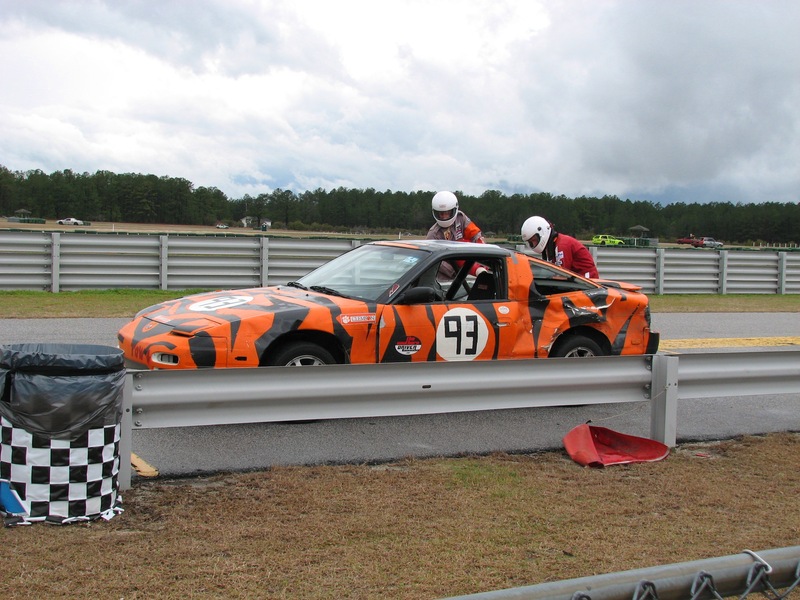 The plan was to leave Clemson just after three drivers had their last class (Vehicle Dynamics), at about 12:30. 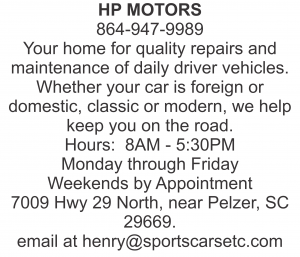 Unfortunately, the U-Haul in Clemson managed to lose our reservation for a car trailer, requiring that we instead rent one from their Seneca location, which was 30 minutes away. Not a big deal, but it was 1:15 by the time the people at U-Haul provided us with trailer. What followed was a frantic packing of the car and equipment – including tents and sleeping bags rented from Clemson Recreation. At 1:45, we finally departed from Clemson for an uneventful 4 hour drive to Kershaw, SC. Tech inspection was scheduled to end at 6:00PM, so it was going to be close. 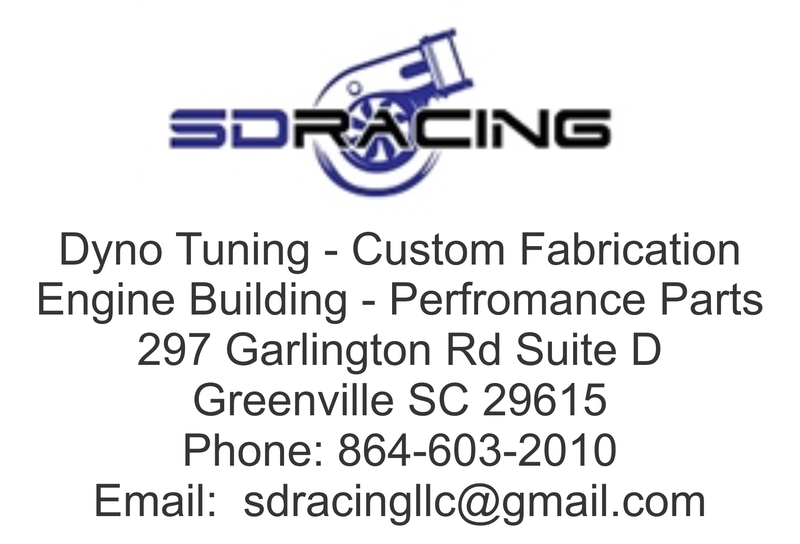 By the time we arrived at Carolina Motorsports Park, tech inspection had already closed. This meant that we would have to do tech inspection in the morning, and if something was amiss, we would have little to no time to fix it. Fortunately, the pit spot we picked was right next to the tech inspector’s tent. The tech inspector looked over our car (between bites of his dinner) as we were unloading it from the trailer, and passed it without issue. Our first major hurdle to overcome was to set up camp. Being poor college students, we decided to camp at the track instead of booking an expensive hotel room. Unfortunately, the forecast called for extreme thunderstorms and possible tornado warnings. We woke up at 5AM Saturday morning with rain and wind threatening to blow our tents away and the weather radar was a sea of red and orange. Thankfully we thought to tape garbage bags over our car’s windows, and tied every heavy object we had to our large EZ-UP tent. Saturday morning meant BS inspection. We arrived first in line to be inspected, and while waiting on the judge, Jason (our team leader) asked me “So, do we need our paperwork?” For those that don’t know, the BS inspection is done by LeMons judges to ensure that no cheater cars make it onto the track without being properly penalized (1 lap for every $10 over the $500 limit the judges think you’ve put into the car). Ten minutes of frantic searching later, we came to the conclusion that all of our paperwork must have been left in Clemson. Great. 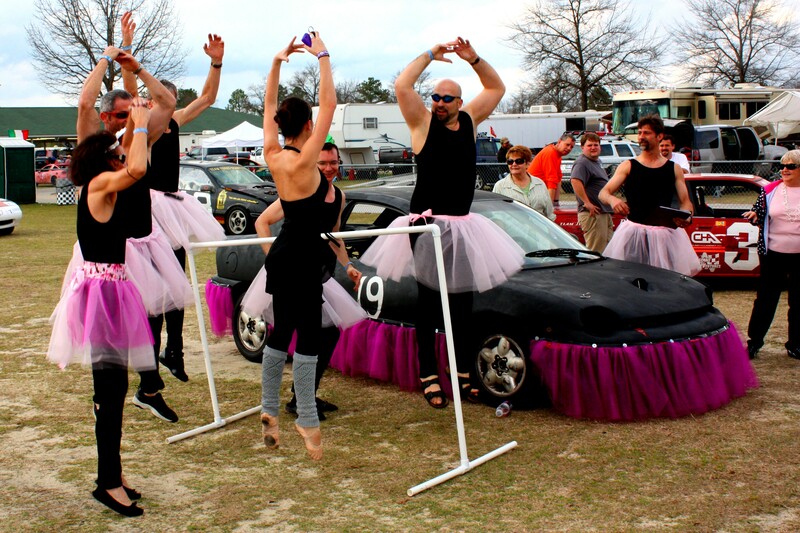 Once again, the gods of cheap racing smile down upon us, and we manage to convince the judge that we are completely clueless and have no chance of winning. It didn’t take much to convince him. I began changing into my race suit at this point, as I had been given first dibs on driving due to my (cumulative) 4 hours previous of on-track experience. 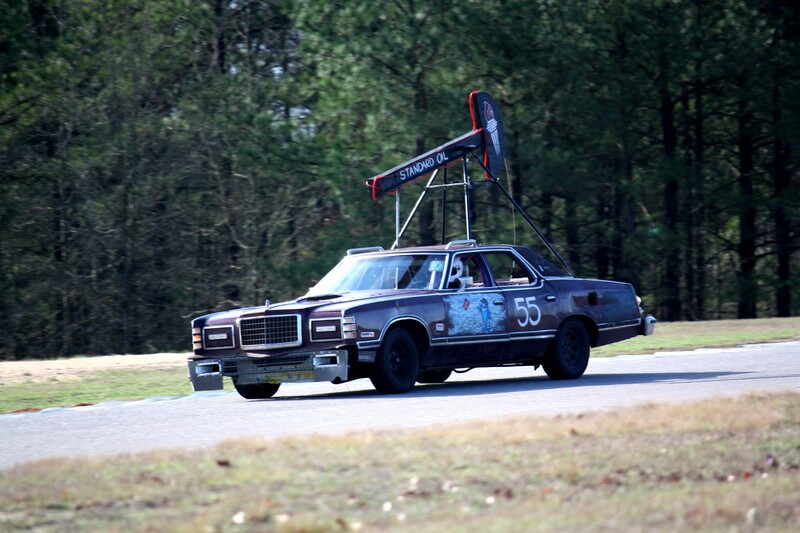 There is something about going into turn 8 at CMP and passing a 1974 Ford LTD with a giant oil rig on top …that brings a huge grin to your face. After about 30 minutes of racing, I noticed a rather disturbing noise coming from the front passenger side of the vehicle under braking and right turns. 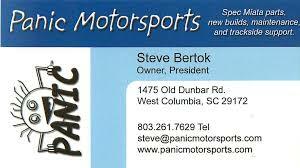 The car still handled just fine, but I decided to come in, just to be safe. The culprit? A fender liner that decided to separate itself from the car. Five minutes and a pocket knife later, we were back in business. Our only stops from this point forward were for driver changes. As our last driver of the day climbed into the car, we noticed a slightly worrying noise, this time coming from the front driver side. It disappeared at speed, so we let him finish his stint and made a note to check it out after the day was over. 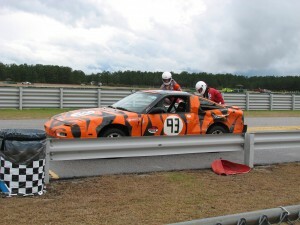 Sure enough, after the last hour of racing, the car rolled into the pits making a hellacious squealing noise. Five minutes of dis-assembly revealed a wheel bearing that had been utterly destroyed. The seal had broken and let all of the oil out, leading one of the ball bearings to grind itself into a fine powder. What followed were multiple hours of frantic searching. First, for a replacement wheel bearing for an S13 Nissan 240sx. None of the auto parts stores in the area had one, and the soonest they could get one was Sunday morning (“maybe, if the delivery driver gets it on time”). Even if we had a wheel bearing, though, we were unsure we could even remove the old one and install a new one. Typically this is done with a hydraulic press able to provide many tons of pressure. By another stroke of tremendous luck, we located a wheel bearing in Charleston. One of our drivers just happened to bring his friend along, and his parents – who live in Charleston – were willing to purchase and deliver a new wheel bearing to us at the track. Our hope renewed by this news, we set out to remove the old wheel bearing. We scoured the pits for a hydraulic press or some advice on how to remove the old one. We came up empty on the former, but the latter yielded some interesting results. 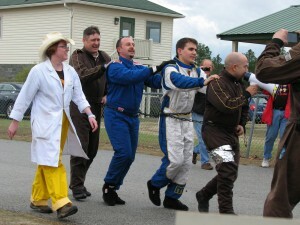 More than one team suggested hammering out the inner race, and welding a bead to the inside of the outer race. In theory, the cooling of the weld would contract the race and allow it to be removed more easily. Unconvinced, another team decided to remove the bearing for us with some good old fashioned brute force. The guy set a socket the size of a fist set against the bearing and the hub itself between two jack stands and started hammering away. Not the most sophisticated method, but it worked. The words “Here, hold my beer” may have been uttered. This approach was fine for the old bearing, but we were leery of applying the same technique to the new bearing. One team graciously allowed us to use the hydraulic support on the back of their box truck to press in the new bearing, which we thought was great. Ghetto, but surely this was better than using a hammer? Wrong. Instead of pressing in the bearing, we only succeeded in lifting the back of the box truck up off the ground. So Will, our main mechanical guy (and fortunate last-minute addition to the team) set to work with his hammer and got the new bearing pressed in. It was once again pouring rain at this point. 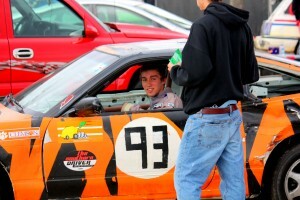 Sunday morning meant another 6 hours of racing. 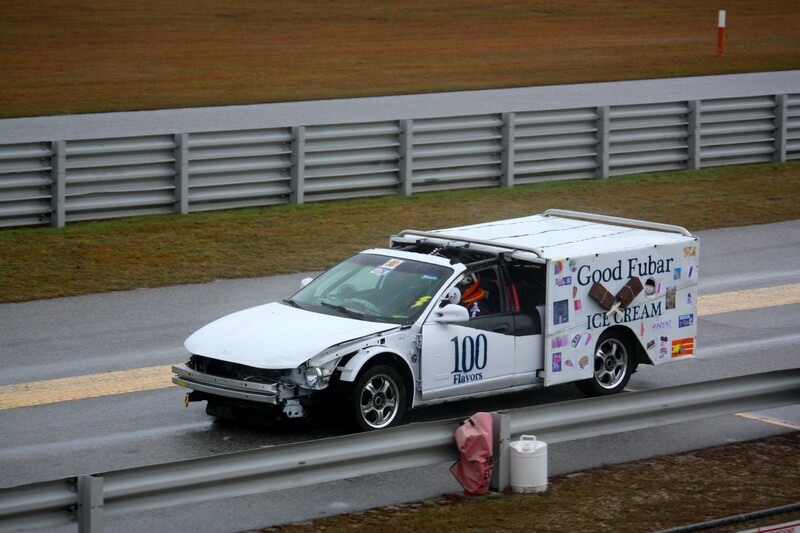 Apart from some tears in our aluminum sheet sunroof – easily fixed with some duct tape – the racing was gloriously uneventful. Near the end of the race, we noticed that we were on the same lap as 5 other teams, hovering around 30th place. 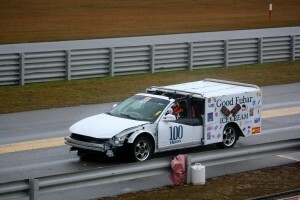 Though our car was fast, our frequent and sluggish pit stops kept us from entering the top 20. I should mention at this point that we only had two complete driver suits, and one neck protection device. This meant that both drivers had to run to the fence next to pit lane for me to switch the HANS device from the old driver to the next. Some practice and creative modification of our fuel funnel resulted a pit time of around 4 minutes. After all this, we finished 27th out of 84 teams. 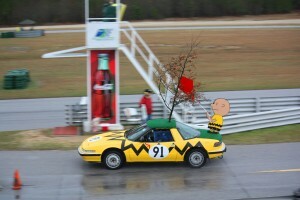 Our only black flag was with 5 minutes of racing left on Saturday, when a driver spun due to a sudden lack of brakes. The front driver side brake pad had been destroyed, likely from a wheel imbalance caused by the mangled bearing. Our drivers were consistently fast and clean, a remarkable feat by a team entering the race with a combined 4 hours of track experience. 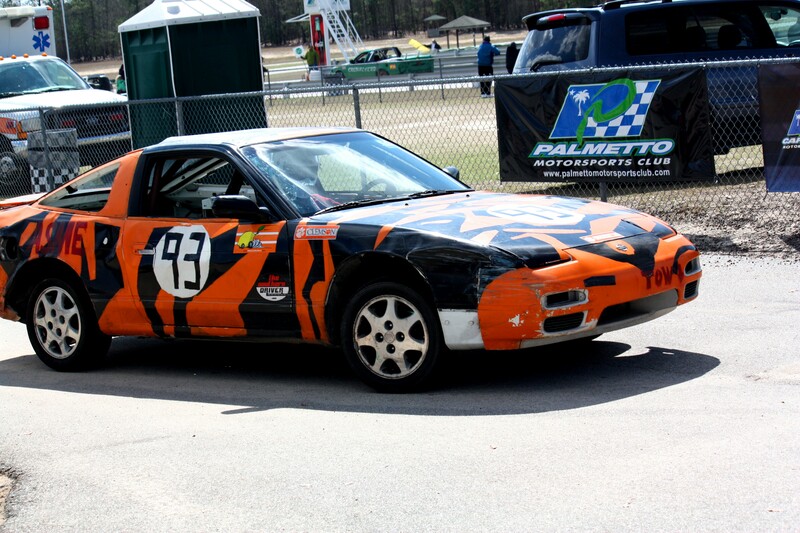 And so, after the conclusion of the awards ceremony, we packed our rented camping equipment and borrowed racing suits back into our borrowed Clemson Facilities truck, loaded our LeMons car back on the rented U-Haul trailer and headed back to Clemson, tired but satisfied. I can’t wait until next year. 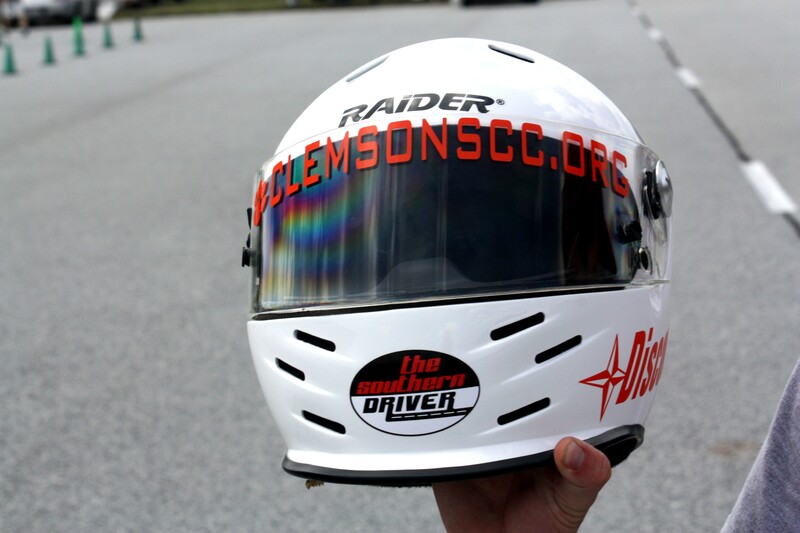 Thanks to Ted Theodore and The Southern Driver for providing some driving gear, tools, a gas can and advice during the entire weekend. Thanks to the 24 Hours of LeMons crew for setting up a great race, and for all those in the pits who offered to help a bunch of clueless college students fix their stupid car. We’re definitely hooked! Great job to all involved! 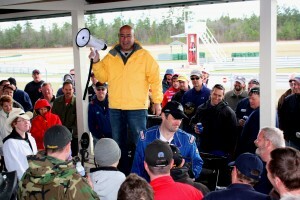 Through teamwork, you guys dealt with unexpected problems with logistics, gathered resources from tools, advice and out of town assistance to overcome mechanical problems, learned driving in traffic with little past experience, and a solid finish of the event in a good running machine…you all earned a LeMons degree and gained knowledge that will help you in many other areas of business, life and definitely in racing! Congratulations! From the expressions on the Clemson team’s faces… the LeMon juice was worth the squeeze! 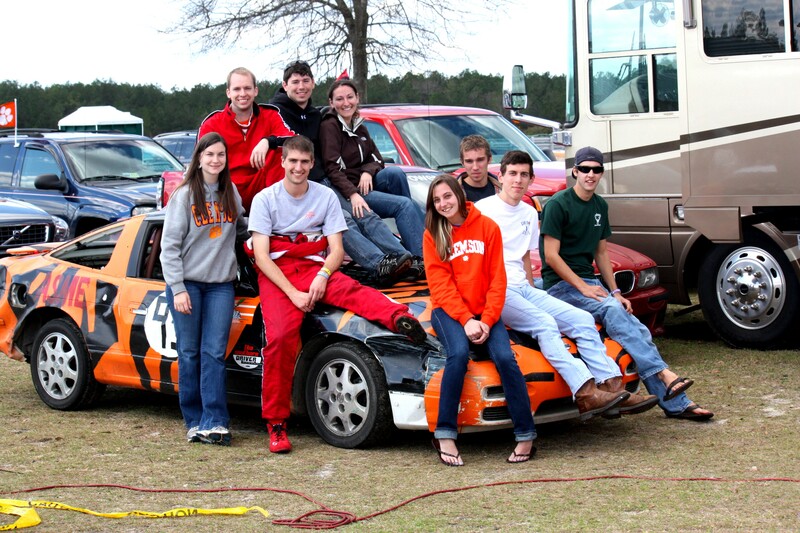 Continued success in racing and representing Clemson University! Well done!